This class is for Personal Trainers, Coaches, Teachers, Life Guards, Parents, Baby Sitters, Home Care, Hotels, Restaurants, Security, and anyone else who want to be certified in CPR with AED Training for adults, children, and infants. HeartSaver® CPR is for people who do not have a medical background. Following the completion of this course you will receive a 2 year American Heart Association (AHA) card. 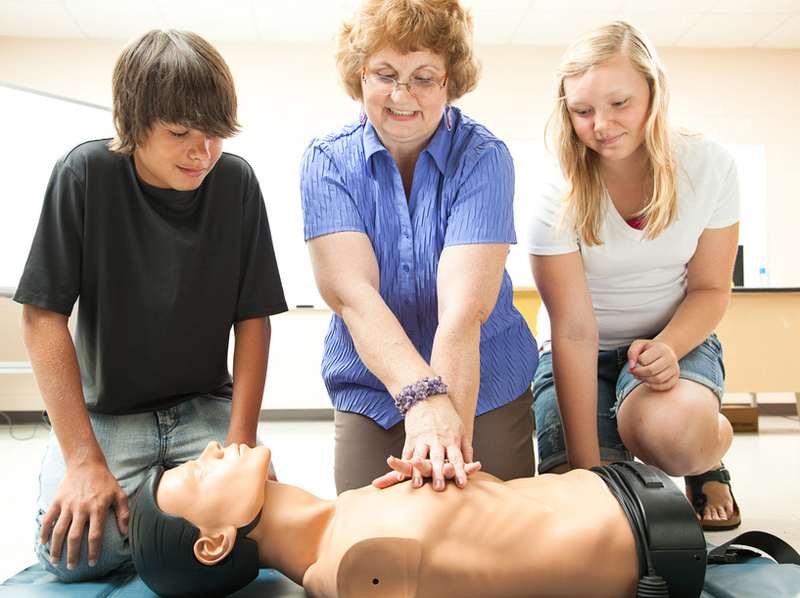 You will receive training that includes how to give a proper chest compression, how to provide rescue breaths, how to use an Automated Electronic Defibrillator (AED), how to save a choking victim, etc. 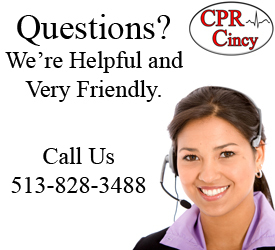 This CPR Class in Cincinnati includes training on both adult and pediatric rescues. 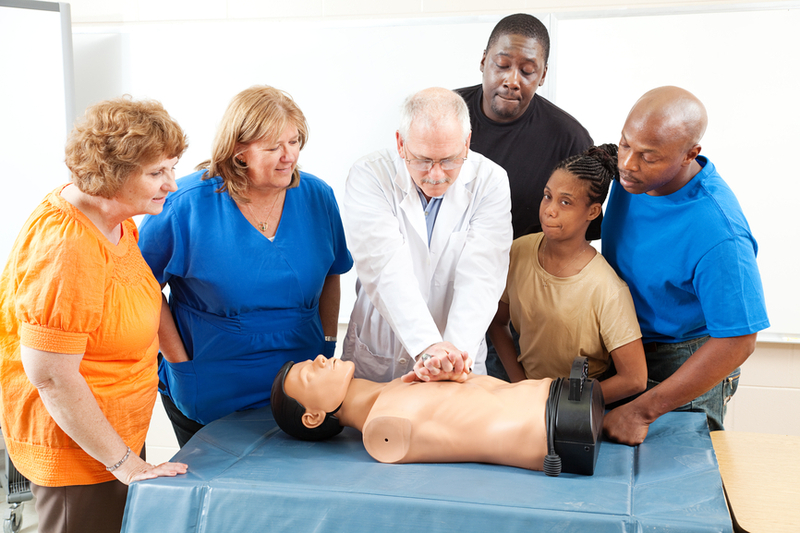 Hands-on classes allow you to actually practice all the life saving techniques that have been researched and developed by the AHA. Well trained and friendly instructors will provide you with real life experiences that will enhance your learning. -100% American Heart Association – accepted by everyone. -Instructors that are Experienced, Fun and Relaxed! -All Training is Hands-on, NOT Online. -CPR and AED Training on Infants, Children and Adults. 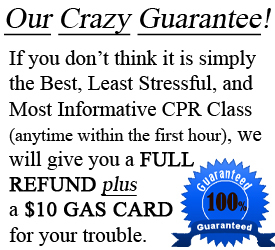 -Guaranteed Best CPR Class – or your money back! -Lifetime Reminder System. Never expire with our 2 year reminder service. 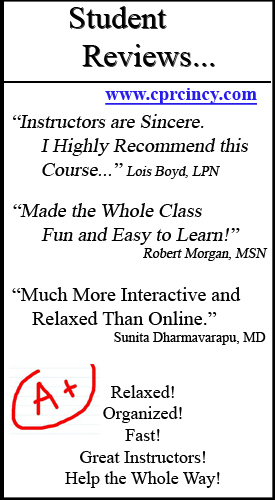 -Avoid Long, Boring Online Classes! -Get Hands-On and Interactive Training that prepares you for a real emergency. Click on HeartSaver CPR Class in Calendar. 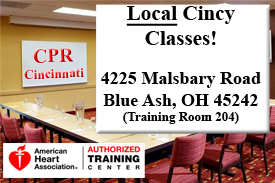 Register for a stress-free, fun and relaxed HeartSaver CPR class in Cincinnati, Ohio. 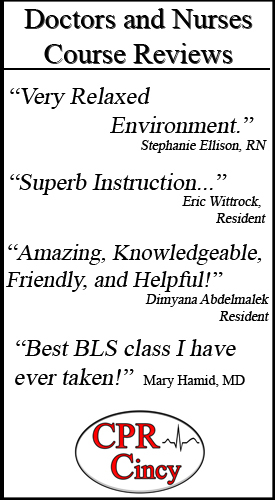 All classes are American Heart Association certified. The AHA is the preeminent source when it comes to life saving algorithms. Both the CPR and First Aid classes are designed by the AHA and culminate in each student receiving a 2 year AHA certification card.